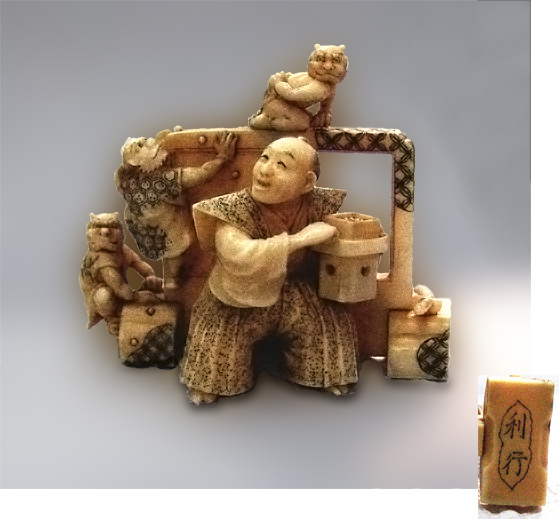 A delightful Okimono that could also be used as a Netsuke on special occassions. Here a Samurai is on his way to play the game of Go and is "played" with by Oni, one who has stolen the Samurai’s hat with two others hoping to join the fun. The Samurai has a surprised look wondering where an unexpected wind has blown his hat.